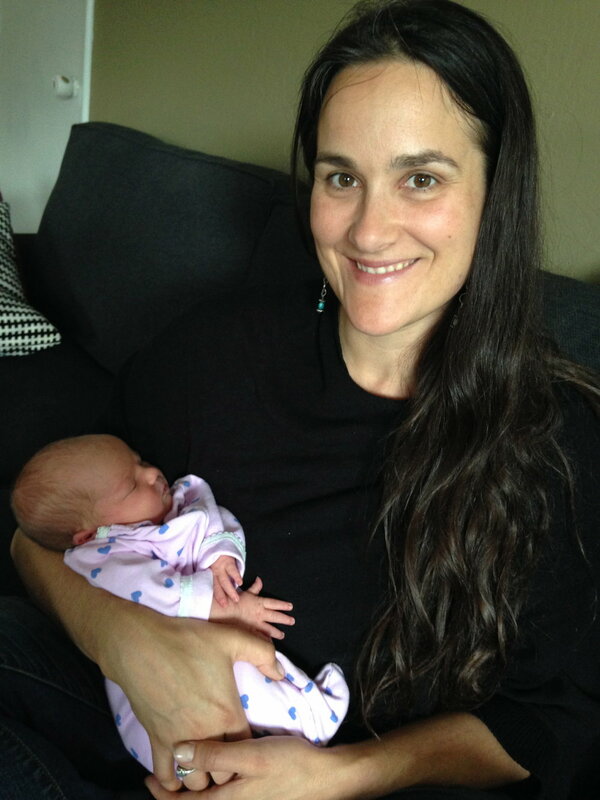 CIPC Founder, Brooke Radloff, is an experienced Pregnancy, Birth and Postpartum Specialist, Integrative Pregnancy & Postpartum Wellness Coach, Childbirth Counselor, and Birth Doula. The first time I played a support role for a woman in labor was for a friend when I was 15 years old. Coincidentally, the midwife who delivered my friend’s baby was the same woman who had delivered me when I was born! From that point on I have continued to assist women and their families during labor (at homes and in hospitals), as well as offering support throughout pregnancy and the postpartum adjustment. Needless to say, that experience was life changing for me, and it was from that moment that I knew pregnancy and birth were going to be a pivotal part of my life's calling. Since that impactful experience, I have spent over two decades passionately studying and working with others in many facets of health and wellness, transformational growth and personal development, and throughout this journey pregnancy and childbirth have remained a core of my heart’s passions. In 2005 I completed my training as a Labor and Childbirth Assistant with the Sierra Childbirth Institute, a DONA approved training program. In addition to countless hours of self-study, I later completed both the Basic and Advanced Intensive Midwifery Training Programs through Hearts and Hands Midwifery Intensives with Elizabeth Davis. I also completed Holistic Midwifery Training through The Matrona, a Rebozo Birth Techniques certification led by Gena Kirby, as well as a Lamaze International's Passion for Birth Childbirth Education training. I am a member of the Association of Prenatal and Perinatal Psychology and Health (APPPAH) and presented my model of an Integral Approach to Pregnancy & Childbirth at the APPPAH Birth Psychology Congress in November of 2013. Along with having been taught mindfulness awareness practices by my parents at a very young age, I studied and trained in Mindfulness in Childbirth and Parenting at John F. Kennedy University and completed a Mind in Birth Workshop at UCSF with Nancy Bardacke, which focused on using moment-to-moment awareness to work with physical pain during childbirth. I also completed training in Conscious Embodiment, a somatic (body based) process developed by Wendy Palmer that is informed by both Aikido and Mindfulness. Additionally, I completed Mindful Motherhood Professional Training through the Institute of Noetic Sciences (IONS), and am a certified Mindful Motherhood Trainer. In 2012 I earned a master's degree in Integral Psychology from John F. Kennedy University. My studies culminated with the development of a model which contains a theoretical framework and practical tools for helping support and facilitate optimal health, well-being and growth, specifically in the journey from pregnancy to parenthood. In addition to creating the Integral Model of Pregnancy and Childbirth™ (IMPC), I also conducted an intensive mixed-methods Integral Research study, which included a birth survey that focused on what makes the experience of childbirth positive. The survey was completed by over 500 women who had given birth. The results were inspiring, insightful and incredibly informative. I presented this research and the Integral Model of Pregnancy and Childbirth™ (IMPC) at Metalntegral's 2013 Integral Theory Conference, and was honored to receive a "Best Paper Award." In addition to helping mothers emerge from their pregnancy, birth and postpartum experience feeling empowered and positively transformed, the intention of this work is to influence and elevate the current maternity care models beyond its current paradigms. Prior to my graduate studies, I became deeply engaged in the study of Integral Theory and was involved with Ken Wilber's Educational and Research Integral Institute in Boulder, Colorado. In 2006, I began supporting Dr. Barrett Brown of the Integral Sustainability Center in the application of Integral Theory research and analysis to the field of sustainability, specifically for the United Nations Development Programme report titled “Leadership For Results,” which focused primarily on communicating to people of different worldviews about HIV and AIDS. I also have an extensive background in Conflict Resolution & Mediation, as well as in Sustainable Development and Appropriate Technology. Throughout the years, I have served as a Director, Board Member and Manager of several non-profit and educational programs in these fields, as well as also having extensive experience working as a Mediator, Facilitator, Communications Manager, Trainer and Educator in various capacities. In 2002, I graduated from Humboldt State University with two bachelor's degrees in the Environmental Sciences and International Studies. I also completed Humboldt State University’s graduate-level Mediator Certificate Program at the Institute for the Study of Alternative Dispute Resolution (ISADR) in 2003. Being a life-long learner and a woman of many interests and passions, I have also completed a variety of training programs and intensive workshops ranging from the Optimal Health Institute's Mind-Body-Spirit Program, to Emotional Freedom Technique (EFT), Thai Massage Therapy, Energy Healing, Homeopathy, Hypnotherapy, Life Coaching, Herbal & Naturopathic Medicine, and Body-based Somatic Release. I have also spent many years engaged in the study and practice of Western and Eastern wisdom traditions, exploring both the scientific and sacred, and whenever possible, bridging the two. In 2018 I became certified as an Integrative Wellness and Life Coach (IWLC). Perhaps the most important and applicable contributor to my education and experience in the field of Pregnancy and Childbirth, is the fact that I am the mother of two wonderful daughters, Kaira and Luna. During the last several years I have learned an immense amount from my own pregnancy, labor and postpartum experiences, and I have had ample opportunity to put into practice the many theoretical and practical skills that I have developed. I have learned a great deal from wonderful teachers and experts over the years, but without a doubt Kaira and Luna have been (and continue to be) the most profound teachers that I have ever had. These life experiences have made me even more passionate and dedicated to this field of work as my life’s calling. In my free time, I can often be found dancing with my family, enjoying nature, delighting in my community and expressing myself creatively-- be it sewing, painting, or squishing soft clay between my fingers.